Click the "Shop Clark Sisters" button above for CDs and DVDs featuring performances by The Clark Sisters. The selection includes their Christmas album. To listen to samples of music by The Clark Sisters, click here. 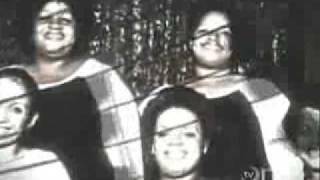 Click below to watch YouTube videos of "Unsung - The Clark Sisters". This story of The Clark Sisters is in seven parts.